The Three Christs is a 90-minute music-theater piece by composer/lyricist Corey Dargel inspired by true stories of people who believe they are Jesus Christ. It takes a sideways look at the concept of fundamental beliefs. The Three Christs distorts and transforms real-life case studies of psychiatric patients with Messianic delusions by incorporating Christian gay-rehabilitation therapy sessions, visions of the Virgin Mary and a psychologist who, it turns out, may be as delusional as his patients. The piece is scored for four singers (including Dargel) and the amplified chamber ensemble, Newspeak (clarinet, electric guitar, electric drums, vibraphone, keyboard, violin and cello). Contributing artists also include playwright Honor Molloy and stage director Emma Griffin. 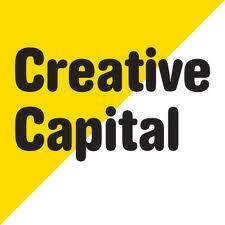 Creative Capital announces its 2013 project grants in the categories of Emerging Fields, Literature and the Performing Arts, representing a total of 46 funded projects by 66 artists hailing from 17 states and Puerto Rico. The 2013 grantees were selected through an open-call, three-phase application process from a pool of more than 2,700 applicants. Creative Capital’s investment in each project includes up to $50,000 in direct financial support (disbursed at key points over the life of each project), plus more than $40,000 in advisory services, making our total 2013 investment more than $4,140,000. Read about these artists and their projects at creative-capital.org and blog.creative-capital.org. Corey Dargel is a sponsored project of Fractured Atlas, a non-profit arts service organization. Contributions in behalf of Corey Dargel may be made payable to Fractured Atlas and are tax-deductible to the extent permitted by law.